I’m hosting Christmas dinner this year for around 30 people. This is not really a fact you need to know. 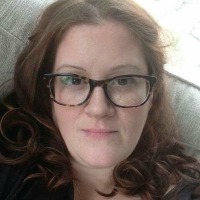 I just keep saying it because I can’t quite believe it myself. For the past month, I’ve been going from room to room, cleaning walls, organizing closets, and rearranging cabinets. I want the house to look good, but I also want it to smell good. I want to it smell like the holidays. Comforting, warm, and welcoming. 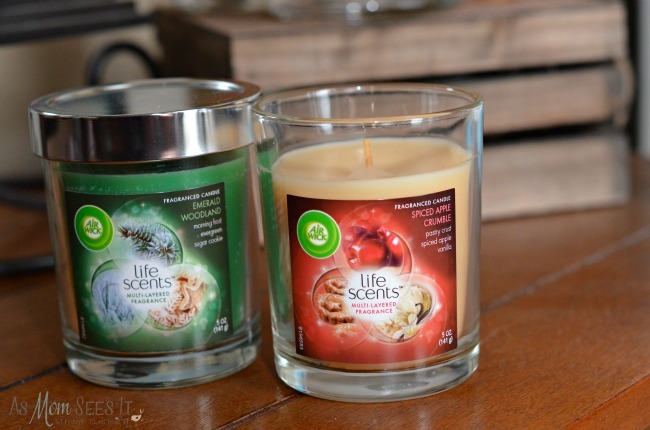 Scents from Air Wick Life Scents™ Holiday Collection like Spiced Apple Crumble, Snowflake Vanilla Cookie, Emerald Woodland and Berry Cool Winter – these are scents that will help create holiday memories this year in our home when we host our first Christmas in our new home. Spiced Apple Crumble might remind you of grandma’s apple pie, but Emerald Woodland might remind you of your very first Christmas tree. Either way, a good smelling house is important, no matter the season. I love watching the couples in this video talk about their memories in their own homes and the scents that are associated with those memories. It’s true, though, isn’t it? That certain scents remind you of some of your most favorite, saddest, or happiest moments. 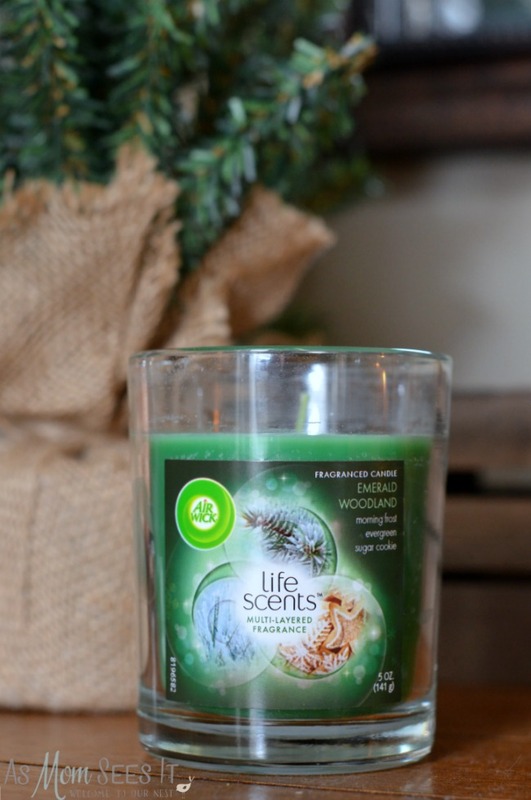 To celebrate its Life Scents™ Holiday Collection, Air Wick launched their new Give the Gift of Home campaign which included their donation of $250,000 to Habitat for Humanity. Now, families that were in need have the chance to make their own memories (and decide their favorite Air Wick scent) in their very own home that otherwise might not have been possible. It’s true that every home tells a story and our favorite scents can trigger memories. This heartwarming video was created by Air Wick to remind us of the sense of home and remind us of families all over the world who are beginning new chapters closer through the power of scent. 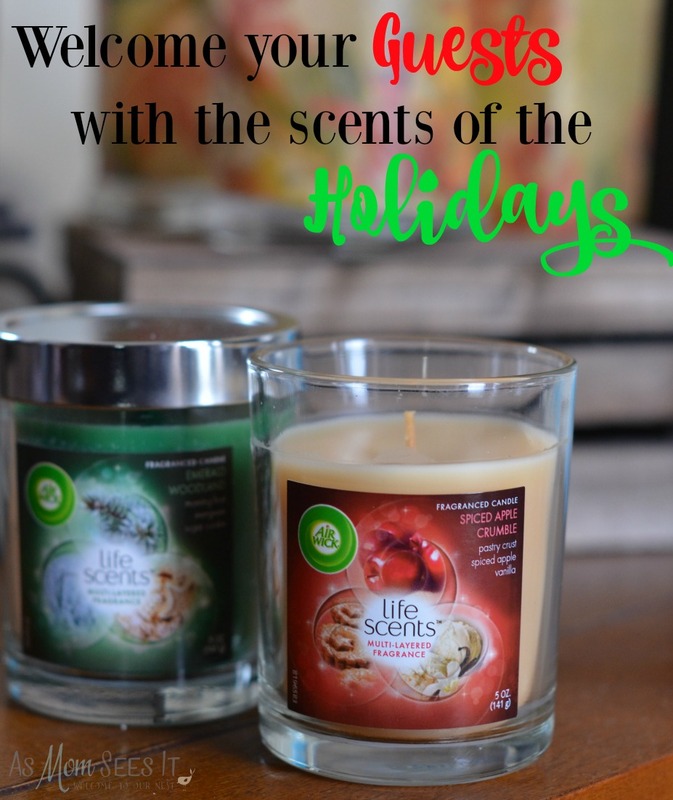 Air Wick’s new Life Scents Collection features the first-ever constantly changing fragrances and is the perfect way to outfit your home this holiday season. With scents like Spiced Apple Crumble, Snowflake Vanilla Cookie, Emerald Woodland and Berry Cool Winter, your home will be just as inviting as ours, whether you’re hosting 3 or 30. They’re available in an array of formats including plugin refills, Freshmatic® Auto Spray Refills as well as candle and wax melts in select fragrances, you’re sure to find something that strikes a chord no matter your home décor.